The Valdosta City Council plans to sue big pharma over opioid addiction. 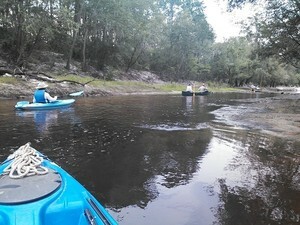 The Thursday agenda also includes two rezonings (one withdrawn), and two water trail resolutions: one for the Alapaha River and one for the Withlacoochee and Little Rivers. For the rezonings, see the LAKE videos of the preceding Planning Commission meeting. This entry was posted in Government, Health Care, Law, Religion, Valdosta City Council, Water and tagged 5 April 2018, Alapaha River Water Trail, ARWT, CUP-2018-02, East Force Street, East Park Avenue, Georgia, Government, Gretchen Quarterman, Health Care, LAKE, Law, Lowndes Area Knowledge Exchange, Lowndes County, Mount Calvary Missionary Baptist Church, North Oak Street, Opoid addiction, Regular Session, Religion, VA-2018-05, Valdosta, Valdosta City Council, Water, Withlacoochee and Little River Water Trail, WLRWT on March 31, 2018 by John S. Quarterman. Gretchen thanked them for putting most of the response to her open records request on CDs, shortly after they had said at their recent planning session that they wanted to promote interaction with the community. Still nothing from the county attorney about the Sabal Trail documents, and it’s been well over three days. I invited them on behalf of WWALS to a workshop and a movie; there’s more below. See also the contested rezoning 5.d. REZ-2016-05 Union Rd Subdivision, E-A to R-A, ~114 acres for more water issues. This entry was posted in Alcohol, Government, Law, Lowndes County Commission, Pipeline, Transparency, Transportation, WACE, Water, WWALS and tagged 9 February 2016, Alapaha River, Alapaha River Water Trail, Alcohol, board packets, Clayton Milligan, Deerwood Road, Georgia, Government, Gretchen Quarterman, Habitat for Humanity, Jack Langdale, LAKE, LAMP, Law, LCC, Lovell Engineering, Lowndes Area Knowledge Exchange, Lowndes County, Lowndes County Commission, Mark Stalvey, New Statenville Highway, paving, pipeline, public defender, Regular Session, Sabal Trail Transmission, Southern Exteriors, Spectra Energy, Stafford Wright Road, Transparency, Transportation, Union Road, US 41, Valdosta, WACE, Water, Withlacoochee and Little River Water Trail, Withlacoochee River, WWALS on February 17, 2016 by John S. Quarterman. Some of this is happening locally: Valdosta is planting trees along Hill Avenue, Lowndes County is building Naylor Park with a boat ramp that will be part of the Alapaha River Water Trail and VLPRA has long been thinking about a blueway on the Withlacoochee River, where it already has a string of parks and ramps. Valdosta has the Azalea City Trail across several parks and VSU. Imagine if that Trail extended a little farther on each end, connecting the Withlacoochee River and the Alapaha River: a greenway between two blueways. Imagine if Lowndes County planted trees in that concrete median in Bemiss Road. Imagine a bus running down that parkway…. …natural corridors do not appear on the standard online GPS systems that people increasingly use to plan their routes. In other cases, the path is suddenly interrupted by infrastructure hostile to pedestrians and cyclists. It is clear that green and active transport routes are an afterthought, an add-on, rather than a core part of the city’s transport strategy. Local government should invest in developing and maintaining the natural connective tissue of the city. In the same way that significant investment is made in arterial roads because they are believed to serve everyone and to connect up vital places, so inviting connective green infrastructure should be supported. The canals, footpaths, and cycleways that provide routes for active transport should appear prominently on maps and signage. Whole systems should be indicated when possible, even when portions of them are currently inaccessible, in order to enhance system understanding, and to encourage thinking about connecting up fragmented corridors. This entry was posted in Agriculture, bicycle, Economy, Transportation, VLCIA, VLCoC, VLPRA, VSU, Water and tagged Agriculture, Alapaha River, Alapaha River Water Trail, Azalea City Trail, Bemiss Road, bicycle, blueway, bus, corridor, Economy, Georgia, greenway, LAKE, Lowndes Area Knowledge Exchange, Lowndes County, park, public transportation, Silviculture, Transportation, trees, Valdosta, VLCIA, VLCoC, VLDA, VLPRA, VSU, Water, Withlacoochee River on March 30, 2015 by John S. Quarterman. Leadership Lowndes Class of 2015 was there, and Gretchen Quarterman spoke about the WWALS Alapaha River Water Trail Conference. Everything else went as predicted with the rezonings and pretty much everything else unanimously approved, at the Tuesday 10 October 2015 Regular Session of the Lowndes County Commission. This entry was posted in Economy, Government, History, Lowndes County Commission, Transparency, Transportation, Water and tagged 10 March 2015, Alapaha River, Alapaha River Water Trail, bus, Creekside West, Economy, Georgia, Government, grant, Gretchen Quarterman, H. Arthur McLane, History, Ivy Gate, LAKE, LCC, Lowndes Area Knowledge Exchange, Lowndes County, Lowndes County Commission, MIDS, Regular Session, Stovall, transit, Transparency, Transportation, Valdosta, Water, WWALS on March 13, 2015 by John S. Quarterman. This entry was posted in Government, VLCCCTA, Water, WWALS and tagged 28 October 2014, Alapaha River Water Trail, Georgia, Government, Gretchen Quarterman, LAKE, Lowndes Area Knowledge Exchange, Lowndes County, Regular Session, Valdosta, Valdosta Lowndes County Conference Center and Tourism Authority, VLCCCTA, Water, WWALS on October 27, 2014 by John S. Quarterman. Five citizens spoke, on topics including the “horrible wretched smell” from ADS, the Sabal Trail pipeline, the proposed local charter school, and the board packet and the Alapaha River Water Trail. Chairman Bill Slaughter asserted there had been nineteen applicants for the Planning Commission appointment and seemed to think the public should be happy about that, having learned it presumably by telepathy. He didn’t divulge who those applicants were, and the only one in the board packet (charming young white guy Brad Folsom) was appointed after somebody reminded the Chairman to at least get a motion first. They also appointed Commissioner Joyce Evans to the Georgia Department of Behavioral Health and Developmental Disabilities. On the GP Investments water rezoning, County Planner Jason Davenport didn’t know whether there had been a dump site there or where the well would go, but they approved it anyway. They also approved the bookkeeping ULDC updates for Special Events, Zoning Map, Fees and they have since put the new zoning map online! They approved unanimously the annual prisoner work detail contract without even mentioning the cost. And unanimously with no discussion they approved the Hahira extratorial request. Here’s the agenda with links to the videos and some notes. See also the board packet, obtained for you by LAKE through an open records request, and the LAKE videos of the previous morning’s Work Session, which have quite a bit more information, including applicants for appointment speaking. WORK SESSION, MONDAY, SEPTEMBER 8, 2014, 8:30 a.m. REGULAR SESSION, TUESDAY, SEPTEMBER 9, 2014, 5:30 p.m. This entry was posted in Government, Hahira, Incarceration, Lowndes County Commission, Pipeline, Planning, Transparency, WACE, Water, WWALS and tagged 9 September 2014, Alapaha River Water Trail, Georgia, Government, GP Investments, Gretchen Quarterman, Hahira, Incarceration, John S. Quarterman, LAKE, LCC, Lowndes Area Knowledge Exchange, Lowndes County, Lowndes County Commission, Michael G. Noll, pipeline, Planning, Regular Session, REZ-2014-15, Sabal Trail Transmission, Spectra Energy, Transparency, Valdosta, Valdosta State Prison, WACE, Water, Work Session, WWALS on September 22, 2014 by John S. Quarterman. I talked about the Water Trail that WWALS Watershed Coalition, Inc. is developing on the Alapaha River with a tiny grant from the Georgia River Network, and how that was a plus for local economic development that wouldn’t cost VLCDA a dime. They seemed to like that, at the 19 August 2014 Regular Meeting of the Valdosta-Lowndes County Development Authority. This entry was posted in Economy, Government, VLCIA, VLPRA and tagged 19 August 2014, Alapaha River, Alapaha River Water Trail, Allan Ricketts, Andrea Schruijer, Attorney, boat ramp, boatramp, Chairman, CPA, Economy, Executive Director, Florida, Georgia, Georgia River Network, Government, Hamilton County, J. Stephen Gupton, Jerry Jennett, John S. Quarterman, LAKE, Lowndes Area Knowledge Exchange, Lowndes County, Lu Williams, Mary Gooding, Naylor, Operations Manager, park, Project Manager, Public Relations & Marketing Manager, Regular Meeting, Roy Copeland, S. Meghan Duke, Sabal Trail Transmission, Spectra Energy, Suwannee County, Terri Lupo, Tom Call, Tom Davis, US 84, Valdosta, Valdosta-Lowndes County Industrial Authority, VLCDA, VLCIA, VLDA, VLPRA, Withlacoochee River, WWALS, WWALS Watershed Coalition on September 18, 2014 by John S. Quarterman.